The application of x-ray and neutron refelectometry for the determination of the interface width and density profile between polymers is described. 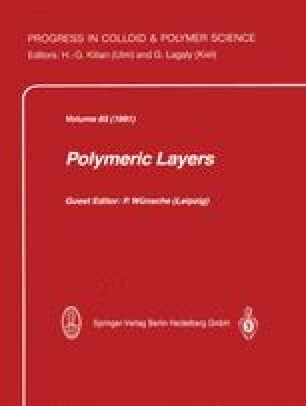 As an example, the initial stages of interdiffusion between deuterated and protonated polystyrene and the interfacial region between the incompatible materials polystyrene/poly-para-bromostyrene are discussed. Depending on sample preparation, an accuracy in the determination of the interfacial width as low as 0.2 nm can be achieved, which is hardly met by other techniques. Also, the shape of the density profile can be obtained in favorable cases by model fits to the reflectivity curves.